What does Afif mean, details, origin, short & easy attributes? Afif pronunciation in 20 different native languages. Muslim Meaning: The name Afif is a Muslim baby name. In Muslim the meaning of the name Afif is: Chaste. Modest. Afif is baby boy name mainly popular in Muslim religion and its main origin is Arabic. Afif name meanings is Chaste, modest, virtuous, honest, righteous, upright, decent. People search this name as Afifa, Afifa iram, Afifah, Afif ud din, Afifa meaning, Afif. Afif is written in Urdu, Hindi, Arabic, Bangla as عفیف, अफीफ, عفيف,افيف,عفیف, আফিফ. Other similar sounding names can be Afif ud din, Afiq, Afiya, Afia, Afifa, Afifah, Afiyah, Afizah. Each letter meanings in Afif Name. Popular personalities with Afif Name. Afif was born in 1960. Afif Amiruddin is a soccer player for the Perlis FA, Kelantan FA, PDRM FA, Kedah FA, Sime Darby F.C., and Malaysia national football team. Afif was born on March 22nd, 1984 in Kota Bharu. Afif is also known as Afif Amiruddin. 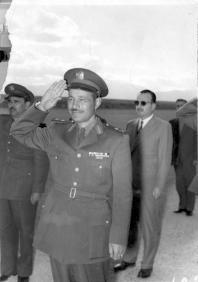 Afif al-Bizri was a Chief of Staff of the Syrian Army. His military service ended in 1959. Afif was born in 1914 in Sidon. He breathed his last breath on January 28th, 1994. Afif Chaya is a singer and actor. 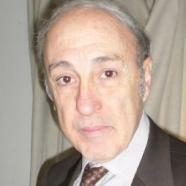 Afif was born on January 10th, 1947. Afif was born in 1953. Afif was born in Damascus. Ali Afif is an athlete for the Lekhwiya SC, Al-Gharafa Sports Club, Al-Markhiya Sports Club, Al Sadd SC, Qatar national under-17 football team, and Qatar national football team. Ali was born on January 20th, 1988 in Doha, Qatar. Saadane was born in 1970. He died in 2008. Patrick Afif is a football player for the Free agent. Patrick was born on March 20th, 1983.